2011, 2012, 2013, 2014, 2015, 2016, 2017, 2018 & 2019 Golf Digest Magazine selects Lonny Larson of Patriot Golf as one of the top Qualified Clubfitters in America. Golf Digest recognizes Patriot Golf and Lonny Larson as one of the best clubfitting facilities in the U.S. In business for over 24 years, Patriot Golf specializes in custom fitting and assembling golf clubs to precise specifications that result in lower scores and a greater enjoyment of the game for his clients. They are a full service custom club fitting and repair center utilizing the FlightScope Launch Monitor, P3ProSwing and proprietary club fitting software to effectively analyze the golf swing. They service people all over the world. Golf is as much as a sport as it is an art. By mastering your form, learning the land, and making the best use of your equipment, you are closer to perfecting your game. When it’s time to rethink how you play, begin with the tools that will help you win. At Patriot Golf, we craft custom golf clubs in Owatonna, MN, that will allow you to get the most from your swing. Gear up with our clubs, accessories and more. Hands down, we help golfers become more comfortable with the game–and make the ball go further. At our golf equipment center, we know how the love of the land translates into a love for golf. The sport is just a much a celebration of the land as it is a celebration for the athletes that compete on it. Therefore, we do our best to make our craft an expression of your passion. With these ideals in mind, our club fitting facility specializes in custom-fit golf clubs that are perfect for professional play. Thanks to our use of the latest technology, quality materials, and proven knowledge of the sport, we can craft a wide array of clubs, equipment, and accessories that empower you to focus on the game. Our lead club builder, Lonny Larson, has more than 24 years of experience. By providing a completely customizable approach to service, Lonny and the team can help you obtain the equipment you need to improve your game, take strokes off your score, and play like a professional. Golf is a sport that encourages good form, smart displays of strength, and strategic thinking. Golf clubs are an extension of your body. Therefore, it makes sense to use equipment that conforms to you. When you use equipment designed with you in mind, then you will find it easier to perfect your form, harness your power, and ensure you’re well within par. Take the next step and invest in a completely customized set of golf clubs. We offer the finest golf components and accessories. Whatever you need, we’ll design and craft it for you. Our custom fitting services can make all Clubs. Want to play your best Golf? Get Clubs Professionally Fit and Built to Fit You. Congratulations Scott Smith. 2nd Place in 2015 Senior World Long Drive Chamionships. Final 8 in 2016 & 2017. Won the Round Robin in 2017. Makes Final 16 in 2018. 2008 ReMax World Long Drive – 2nd Place – Congratulations !!!!!! Since 2005 I have been a Long Drive Professional. I am so very pleased with the help I got from Lonny Larson owner of Patriot Golf in assisting me to enhance my Long Drive Career with this awesome sport! He is very professional and goes out of his way to get the job done! 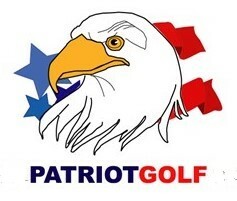 Patriot Golf - Make it your choice! THE CUSTOMER IS VERY IMPORTANT TO US!! CUSTOMER SATISFACTION GIVES ME SATISFACTION!! We craft equipment made only for you. Our golf club company has teamed up with the respected, well-known names in equipment to provide an impressive selection of clubs and accessories. We craft clubs using materials from Quality Companies. Golf Digest recognizes Patriot Golf and their lead builder, Lonny Larson, as one of the best club fitting companies in the United States. In business for more than 24 years, we specialize in custom fitting and assembling golf clubs to precise specifications. The result for our clients is greater satisfaction in the game–and lower scores. We also incorporate cutting-edge technology into our crafting process. Our full-service custom club fitting and repair center utilizes the FlightScope Launch Monitor, P3ProSwing, and proprietary club fitting software to effectively analyze your golf swing. Our company is proud to serve customers throughout the world. Naturally, the quality of our work shows in our glowing testimonials. Are you ready to join the ranks? Request a custom club fitting consultation today and update your equipment with custom clubs from Patriot Golf. Contact us (507)-456-1973 to learn more about our custom golf club and equipment services. We proudly serve customers around the world.